South Shore Line train service has been "suspended until further notice" due to extreme weather conditions in the Chicago area Thursday. 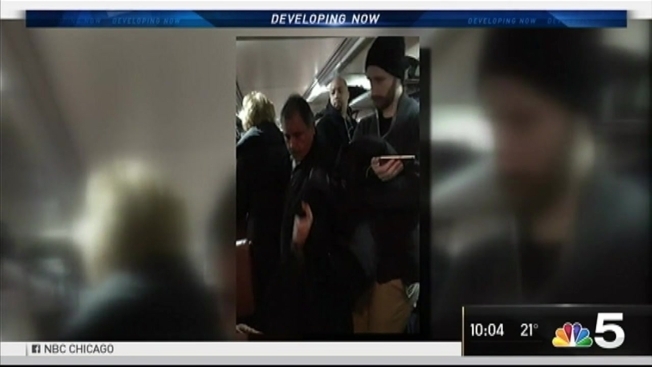 "We haven't seen something like this in 20 years," a South Shore Line spokesperson told NBC 5. The Northern Indiana Commuter Transportation District said all trains were returning east to bring passengers back to their original stations as of 12:30 p.m.
"South Shore regrets having to take this action but weather conditions did not permit us to provide a reasonable level of service," the transit agency said. Some passengers were stuck on trains near East Chicago and the Hedgewisch station for several hours. The NICTD said a diesel is en route to open the main line for trains no. 6, 108, 112 and 110. Once that's open, trains will be able to move. The National Weather Service put a Freezing Rain Advisory into effect until 9 a.m. Thursday. Freezing rain or drizzle could cause ice accumulations of up to a tenth of an inch in Cook, Lake, McHenry, DuPage, Will, Kane and DeKalb counties, as well as Lake and Porter counties in northwest Indiana. More than 50 flights were canceled and many others were experiencing delays Thursday morning at Chicago’s airports because of inclement weather. At O’Hare, 26 flights were canceled as of 9:30 a.m. and delays were averaging 31 minutes, according to the city’s Department of Aviation. At Midway, 42 flights were canceled and delays averaged less than 15 minutes. The cancellations were due to snow and ice, which were expected to dissipate before colder temperatures arrive Thursday night, according to the National Weather Service. 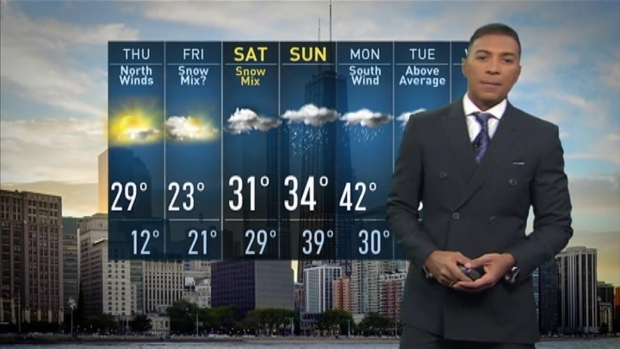 Byron Miranda has the latest forecast update for the Chicago area.